Microsoft SharePoint Online is a component of Office 365. It is a web based, team collaboration tool that many ILR departments are taking advantage of. To learn more about it, sign in using the link below to access training and documentation. There are no additional fees for using SharePoint. 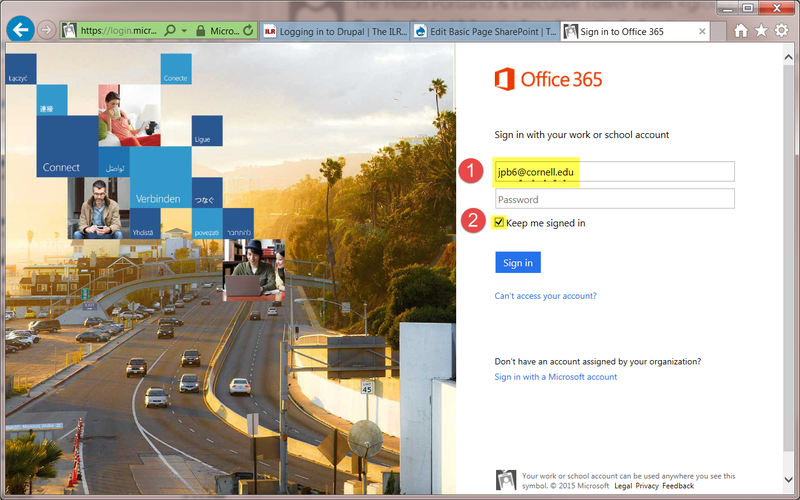 Signing in to SharePoint is a two-step process. 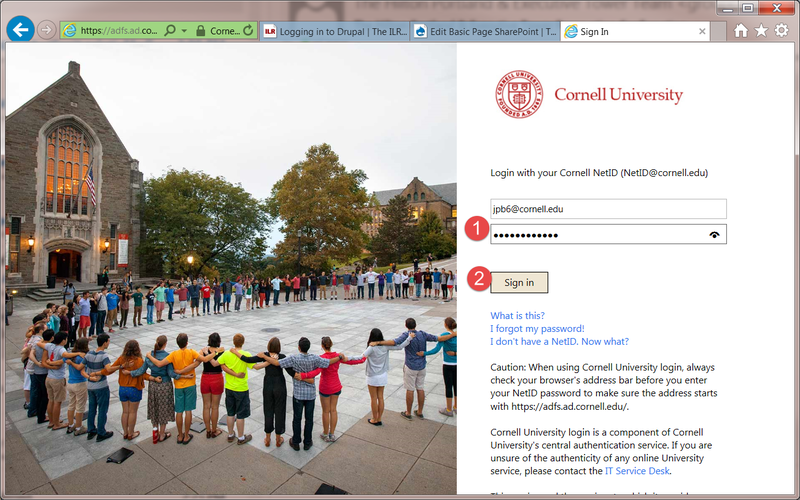 The first part of the process simply establishes that you are a Cornell employee, and lets Microsoft know that Cornell will provide the sign in process. This step is necessary to enable collaboration partners that don't have @cornell.edu email addresses to get access to shared resources on SharePoint. Note: The picture won't always be the same, but will be a "familiar Cornell scene". Sign in with your netid and password and press enter (or click Sign in). You will then be signed into SharePoint and Office 365.